DMCI Homes, the pioneer in residential resort condominium communities, innovates city living further by taking a different view on things—literally and figuratively. With its latest development Lumiere Residences in Pasig City, residents will be able to enjoy daily life enlightened with endless possibilities of vistas. 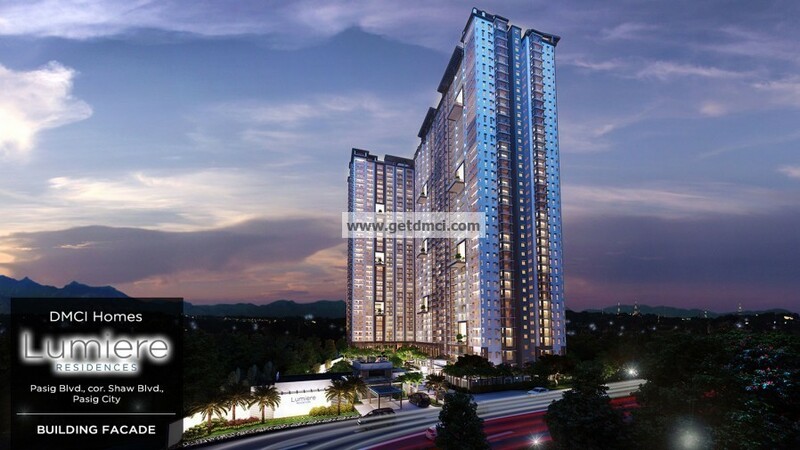 The three-tower condominium project will soon rise on a prime location along Shaw corner Pasig Boulevards in Pasig City. East Tower will be completed in 2018 while West Tower will be turned over in 2019. North Tower is the third tower, which will be completed on November 2020. 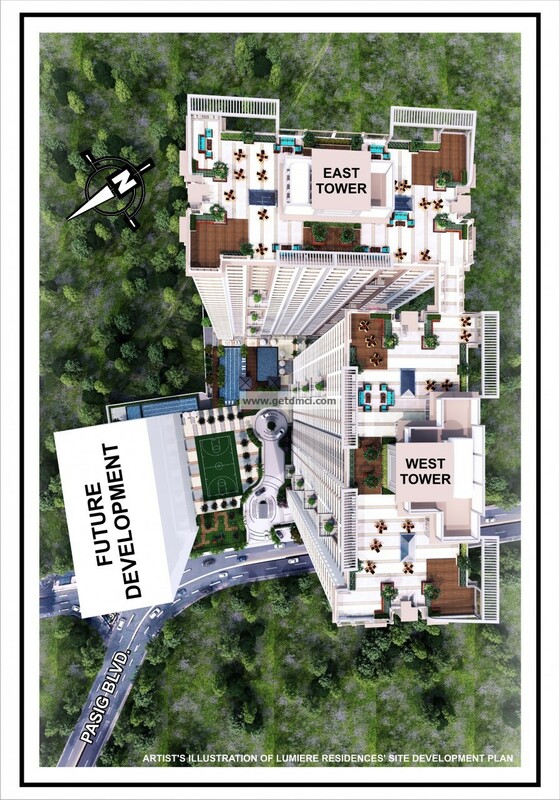 Uniquely situated on this elevated portion of the metropolis, Lumiere Residences will offer not only genuine resort-inspired development, but most importantly, a host of scenic horizons whichever unit a home buyer may choose within the buildings. Lumiere Residences provides energizing views of the morning sun against the backdrop of the peaceful and green Antipolo hills. The metropolitan skyline is a breathtaking view as well, with the dynamism of nearby Bonifacio Global City (BGC), Ortigas central business district and Libis, Quezon City. Especially at night, this view is mesmerizing with its blinking city and car lights—a picture of progress and the dynamic beat of the city that one can be part of. 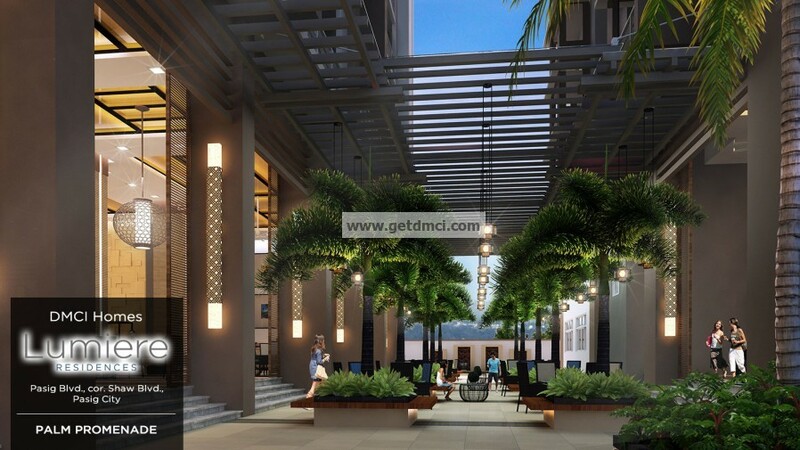 Looking within the condominium development, a calming view of the amenities and landscaping is an equally winning proposition. Some of its main features include a pool deck, kiddie and lap pools, gazebo and cabana, children’s playground, basketball or play court, view deck, and palm promenade. 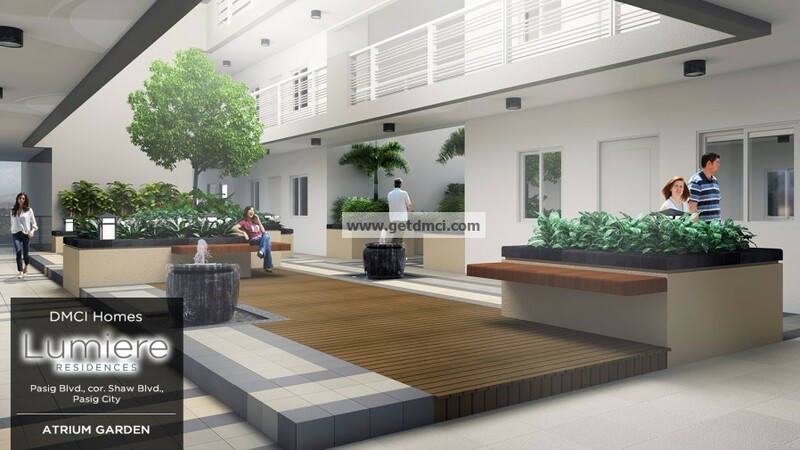 Aside from the amenities, Lumiere Residences also features DMCI Homes’ signature building innovation, Lumiventt, which provides natural lighting and air with extended Sky Patios and garden atriums. Also, there’s a Sky Park and a Sky lounge at the roof deck—a space generously allotted for residents and guests to relax, enjoy, and take a breather without even having to step outside the community. Conveniences such as an open lounge, a function hall, a game area, an entertainment room, and a fitness gym as well as laundry and water refilling stations can be availed in the designated retail areas. 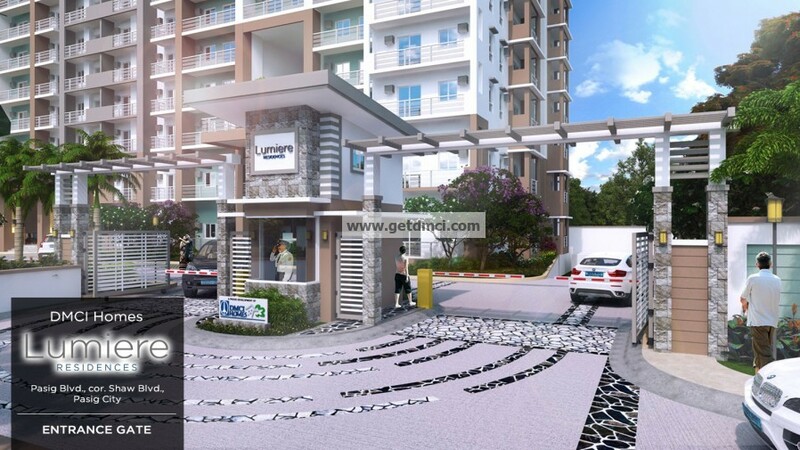 The usual topnotch services of property management are available to enhance the resort atmosphere of daily living in a DMCI Homes development. There is full back-up power in units and common areas and reliable security, with six elevators servicing each building. There will also be a perimeter fence, main entrance gate, 24-hour security and provisions for CCTV cameras to ensure the safety of all residents. Most importantly, Lumiere Residences also bears the DMCI Homes Quality Seal which represents DMCI Homes’ commitment to deliver homes that are built to last. 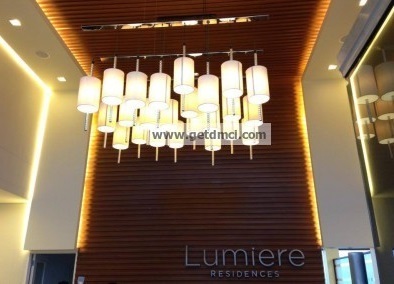 Units at the Lumiere Residences are also subject to the company’s proprietary quality management system, and come with a 2-year limited warranty. Lumiere Residences is the most ideal location for individuals and families whose lives revolve around this side of town—where business districts intersect with lifestyle centers as well as schools and hospitals. With its convenient access to the metro’s major thoroughfares such as C5 and EDSA, managing a busy lifestyle will not be difficult. Indeed, life at Lumiere Residences will be one that is fulfilled and enlightened with this realization. 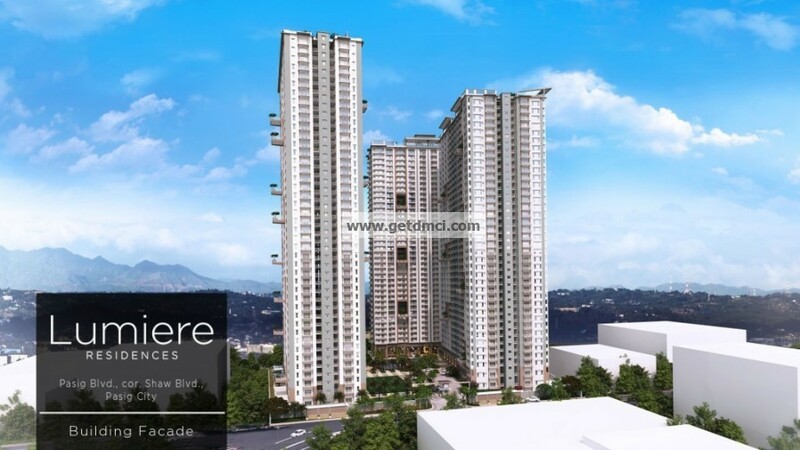 Join LUMIERE RESIDENCES' NORTH TOWER Advanced Tagging And Get The Best Unit!